We Say YES. 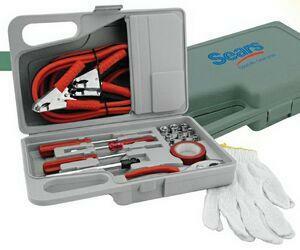 Even for the Custom Branded Auto Tool Kit. You have to think about industry here. Uniqueness matters. Originality. Thinking of something other than a “gift card” (boring) makes for a game changer either on the promotional site or the employee morale side. You want that step up in business to show customers, colleagues, clients and partners alike that not only do you do great business, but you appreciate others for doing the same. Nascar Racing Teams — Can you take a wild guess who would love to give a custom branded auto tool kit to the members of a team? Check it out right here. Auto Mechanics — Seems like a no-brainer, but really the possibilities are endless. Car Salespeople — Also a no-brainer, but there are also other hidden benefits lurking as well! Who knew, right? Think of competition. Demand. Employment. Reputation. It makes sense. Yes. Even in this particular industry. Automotive is a heavy one, so you have to be prepared. Why not be prepared with BRAVA Marketing? Contact us today and let’s get started with your promotional items!